It looks hot in this photo from the 1890s. I bet those “Melons On Ice” in front of Wiley’s grocery store really hit the spot. I love this photo. 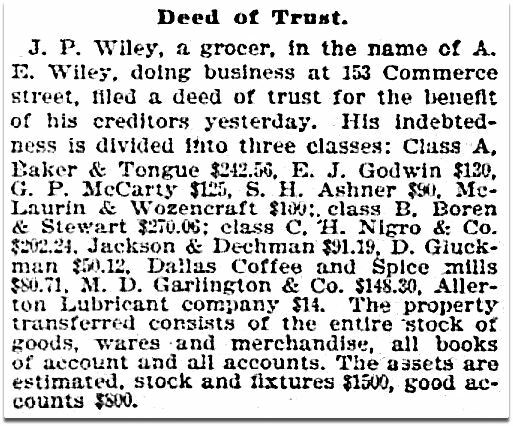 The Wiley Cash Grocery was in business for only a few years — from about 1892 to 1896. 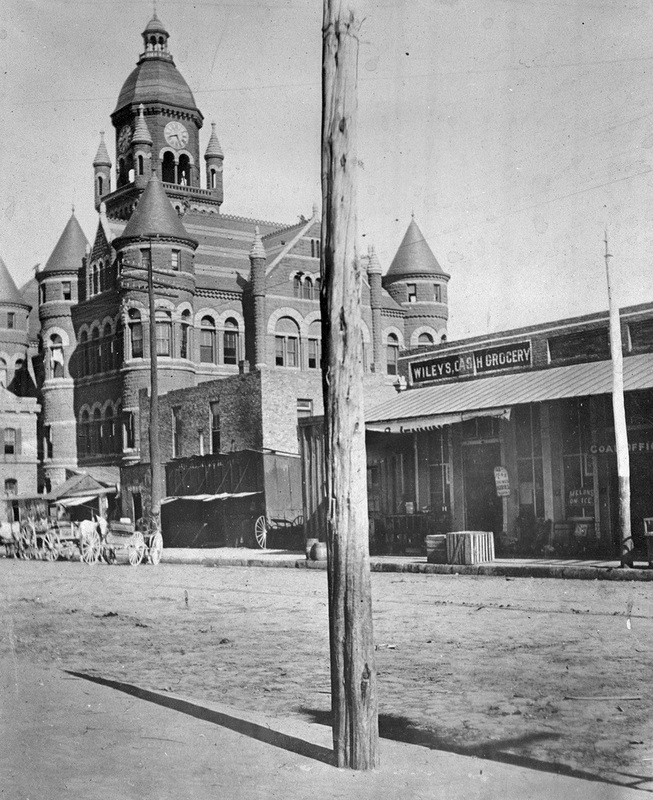 It was located at 153 Commerce, one block east of the brand new county courthouse. 1893 map of Dallas, det. This photo captures such an odd view of downtown Dallas — it’s hard to believe that the site once occupied by the Wiley store is now the site of the John F. Kennedy Memorial. A present-day view can be seen here. This photo is from the Squire Haskins Photography, Inc. Collection, University of Texas at Arlington Libraries; additional info is here. See this great photo REALLY big here. 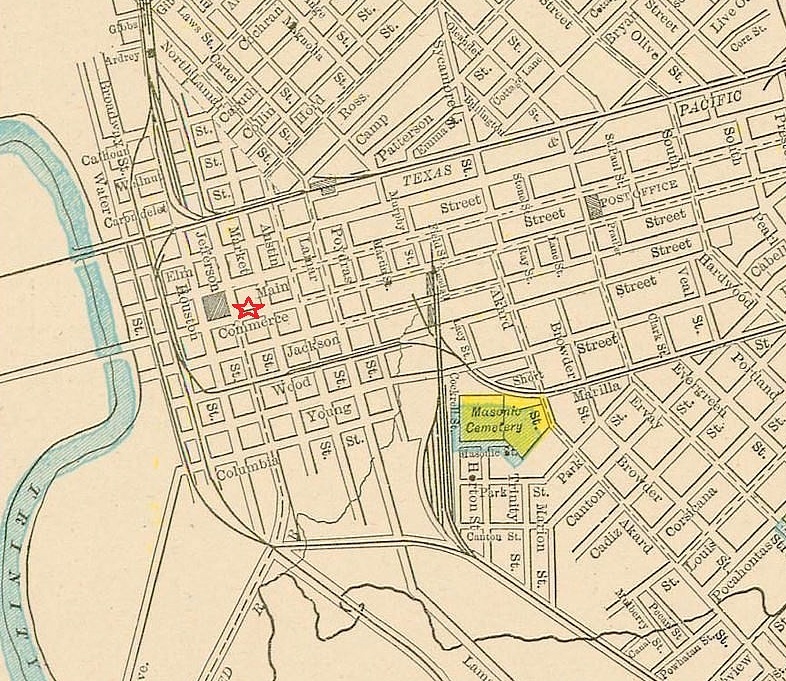 The map is a detail from an 1893 map of Dallas from the collection of the Texas State Library and Archives Commission; see the full map here. Was Commerce Street one-way back then??? 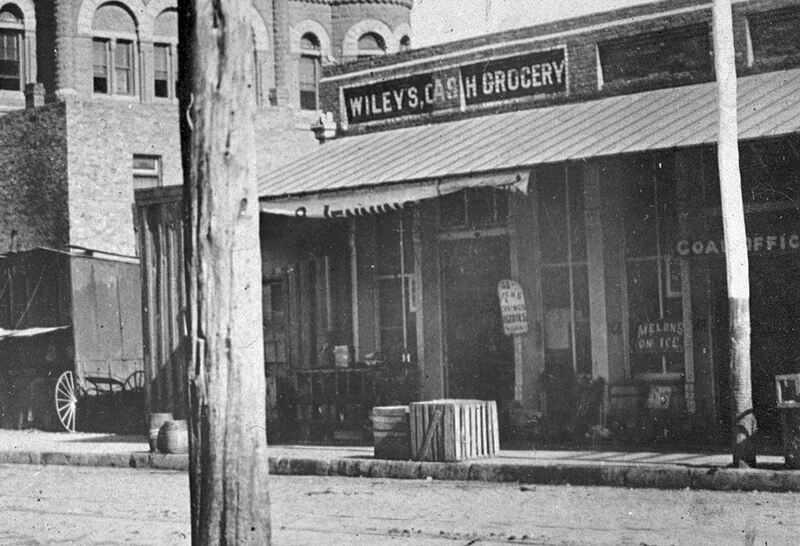 It is a fascinating photograph, and for me one of those fascinations is that board-and-batten annex leaning up against the west wall of Mrs. Wiley’s grocery store. That the 100 block of Commerce would, as late as the 1890s, have found place for such a modest structure is hard to grasp.